Right from the start, Matt had an ear for the saxophone. Within a week of picking up the horn in 4th grade, he was already playing melodies from the radio. Right out of high school, he made his professional debut in a local classic rock covers band called The Babalouies. Already a fan of progressive rock, Matt was thoroughly hooked on Pink Floyd through a college roommate who owned copies of the Pulse, Delicate Sound of Thunder, and Live at Pompeii videos-as well as a large collection of CDs. Also in college, Matt cofounded an original progressive rock band, Meridien with his best friend and spent several years exploring new sounds and complex arrangements. 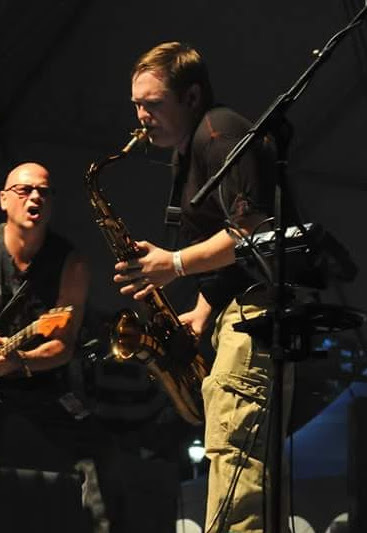 Matt can often be found jamming on stages with a variety of musicians, from blues to classic rock and prog.